The answer to that question is yes and no. If the paint is 100% dry it can be put directly into the dumpster. Wet paint has to be dried out and if you do not love watching paint dry, we have some tips to help speed up the process. Our tips are fairly easy and there is couple of ways of doing it. The most common way is to simply mix the wet paint with cement and let it dry (this tip is for disposing of 1 gallon of paint, recipe can me adjusted to handle as much as needed). To do this you will need a plastic 5 gal. bucket with a lid, bagged cement, and a sturdy stir stick. Start by pouring the wet paint into the plastic bucket, then add the dry cement mix to the bucket. Use the sturdy stick to thoroughly mix the paint and cement mixture to a thick milkshake texture. Once you have made finished mixing set the bucket of cement paint and the empty paint can out to dry. It is that simple! Prior to loading it into one of our bins that a lid be placed on it to make sure none of the color full mix spills in the dumpster. Sand, kitty litter, or sawdust can be used in lie of cement. ​The only downfall to using those materials is that it will take much longer to cure! Another way is to simply let it cure. This will be difficult to do if it is left in the can, but you can spread it out on a cardboard box (everyone has a million boxes thanks to Amazon), plywood, or even a section of old carpet, increasing the surface area of the paint will make it dry faster. So, whip out the can opener and paint brushes to spend a few minutes painting the items you are disposing of anyway. Recycling it is he best and most environmentally friendly. The down fall is it can get a little pricey and may be hard to find locations that will accept wet paint. You can call your local transfer station, county landfill, or sanitation department to see if they offer paint recycling or disposal. If you are feeling philanthropic there are some charities that will accept paint for their use, some of these organizations would be Boy Scouts; they tend to run on a limited budget therefore most troops may take your paint. Some other options would be Habitat for Humanity, which takes in reusable construction and painting materials to build houses for those in need and Global Paint for Charity (located here in Atlanta), this program takes in leftover paint for volunteers to use on houses of the elderly, veterans, and widows so that they may keep their properties looking nice without out having to pay painter fees; they also ship the paint over seas and to cities in United States. 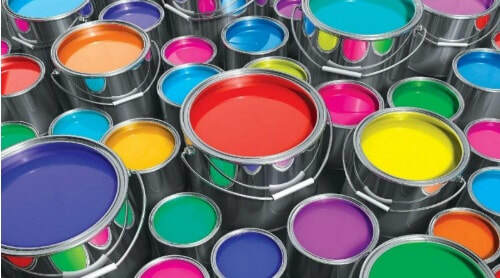 Proper paint disposal prevents the hazardous chemicals from leaching into our waterways, drinking source, food sources, and out of our only habitat! 404-692-2838, bye email Atl@BinThereDumpThat.com, or online www.AtlantaDumpsterRentals.net.